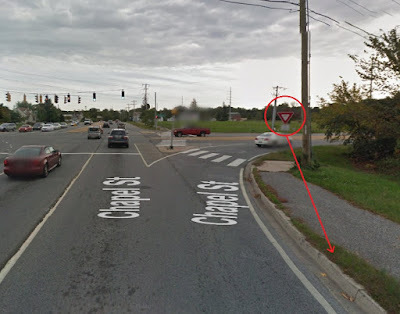 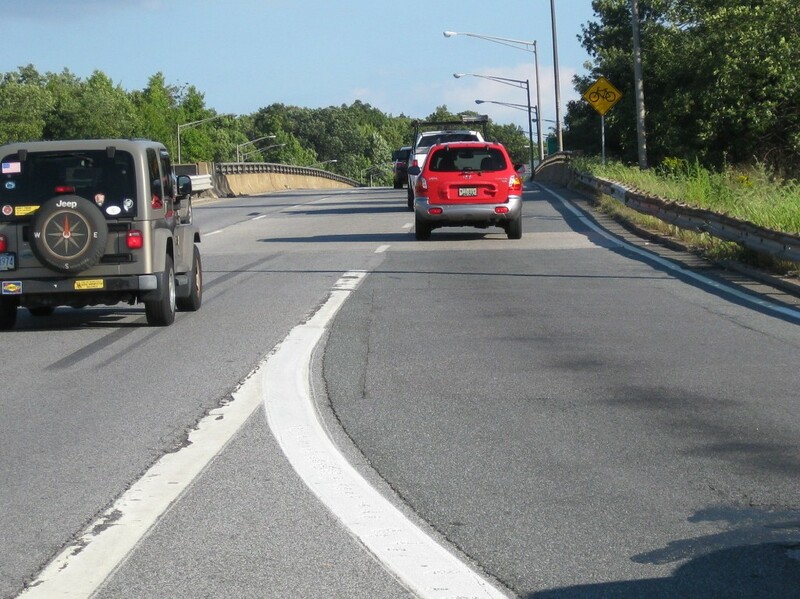 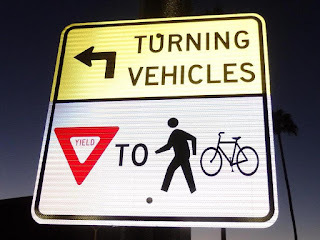 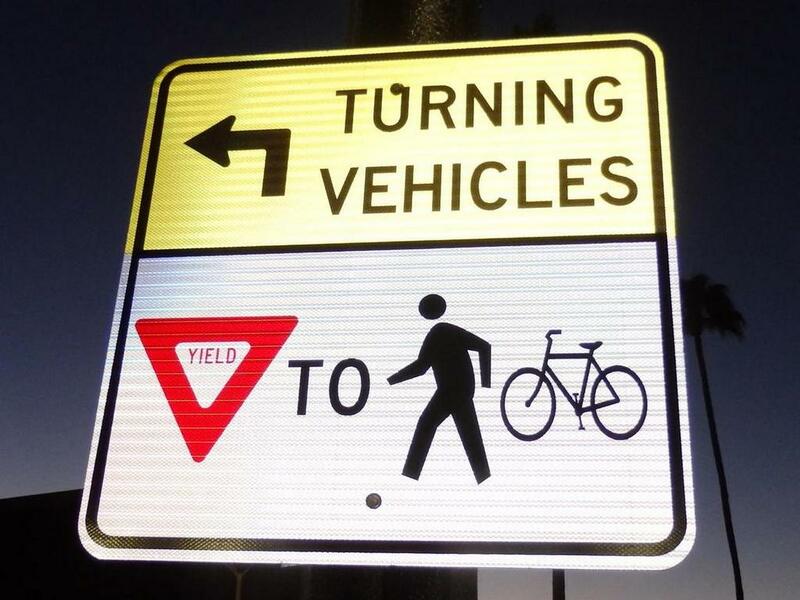 A big tip of the helmet to Mark Luszcz, Chief P.E., and his Team at DelDOT Traffic for working with Advocates in pioneering the shared right turn-only lane treatment. 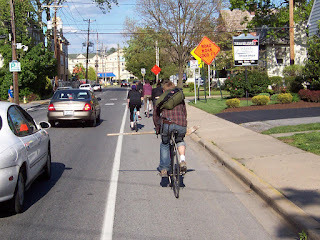 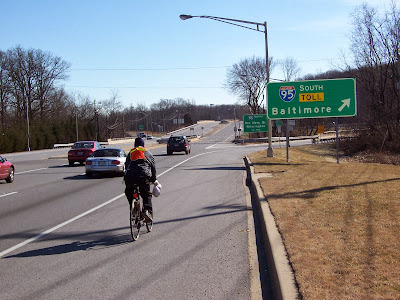 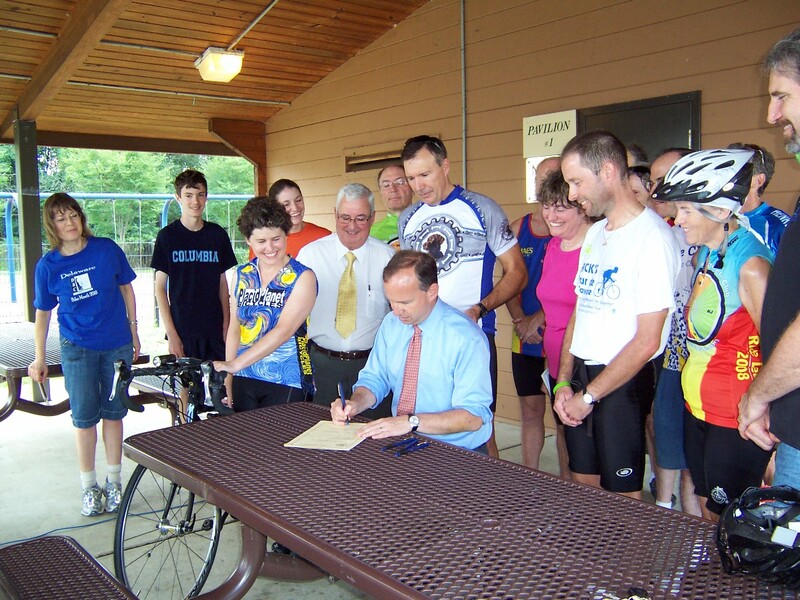 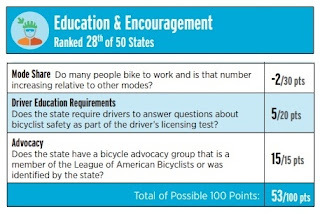 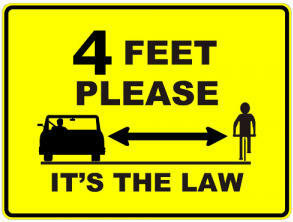 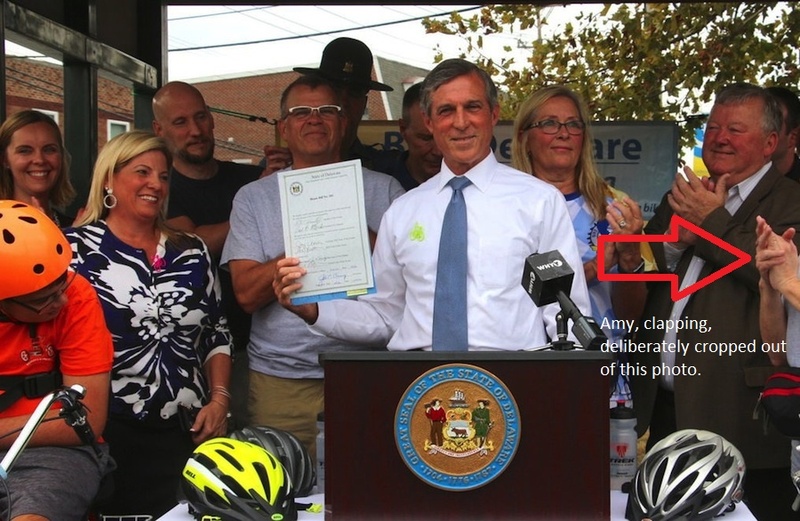 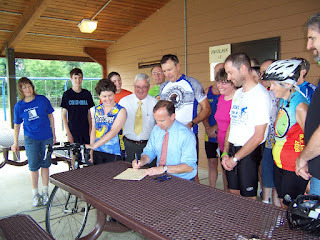 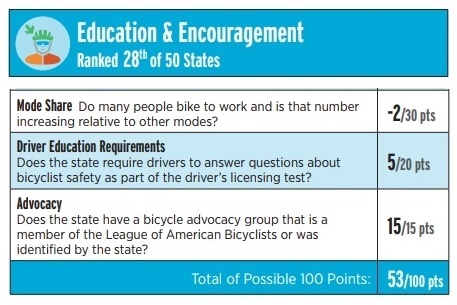 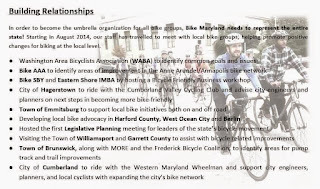 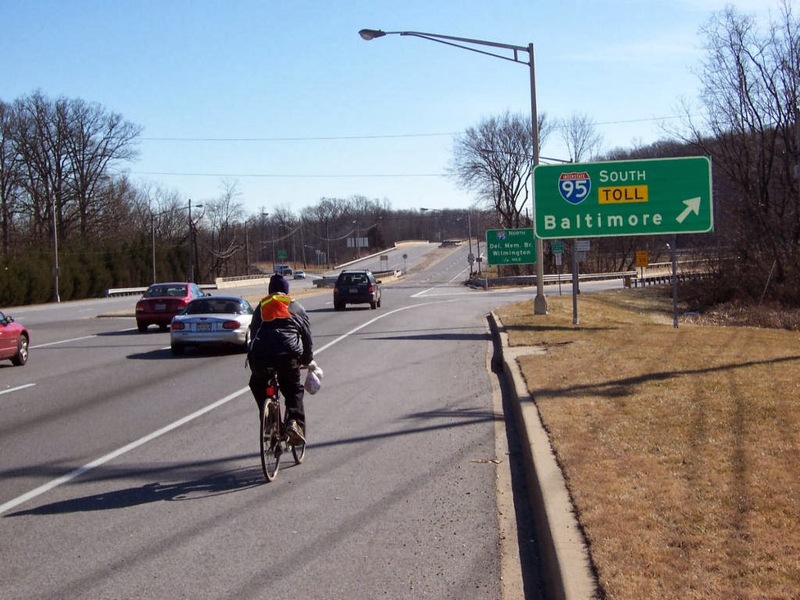 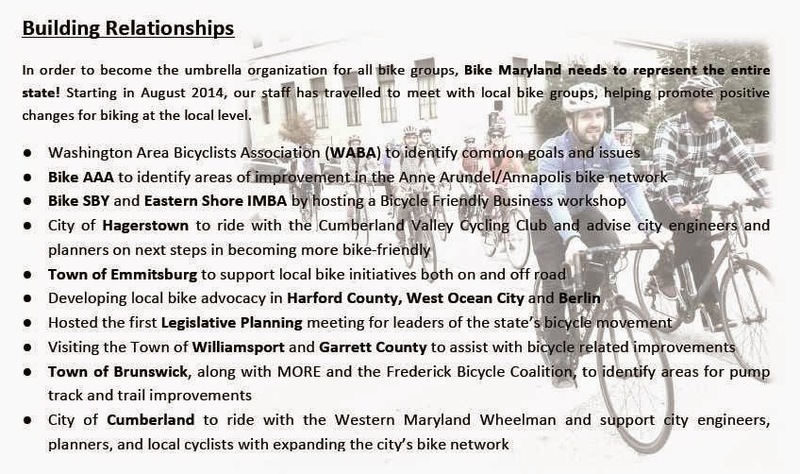 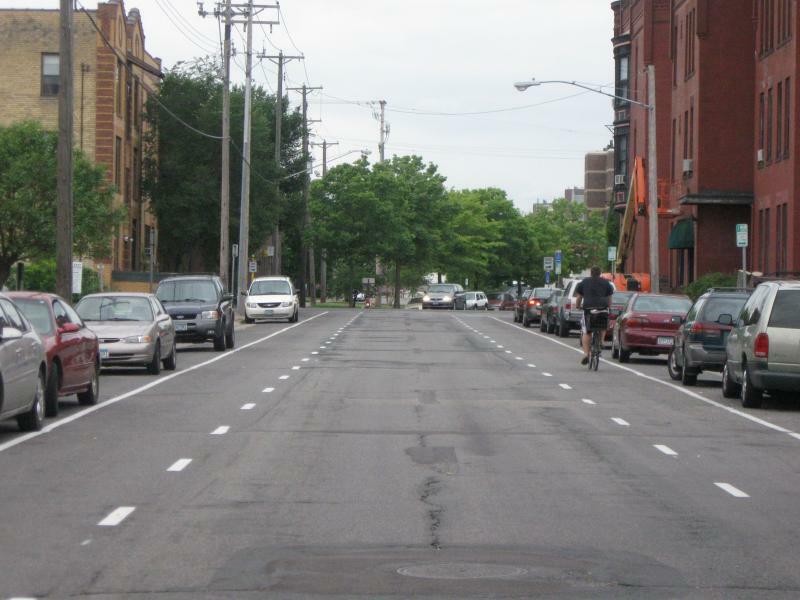 It is the opinion of 1st State Bikes that, if Bicycle-Friendly State rankings were based on DOT responsiveness alone, Delaware would top the list. 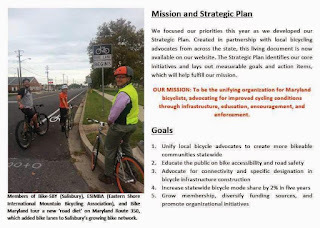 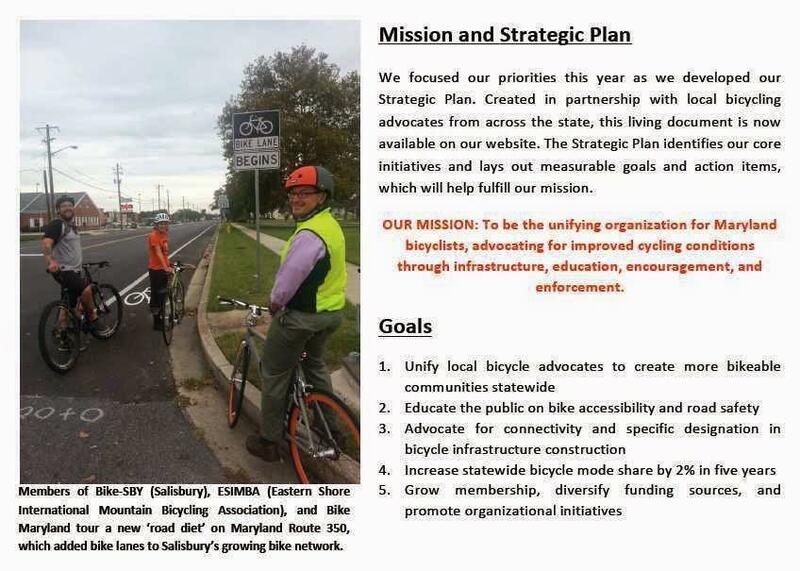 Though Advocates still diverge with DelDOT on some issues, it has been a superb working relationship, especially since Complete Streets was enacted. 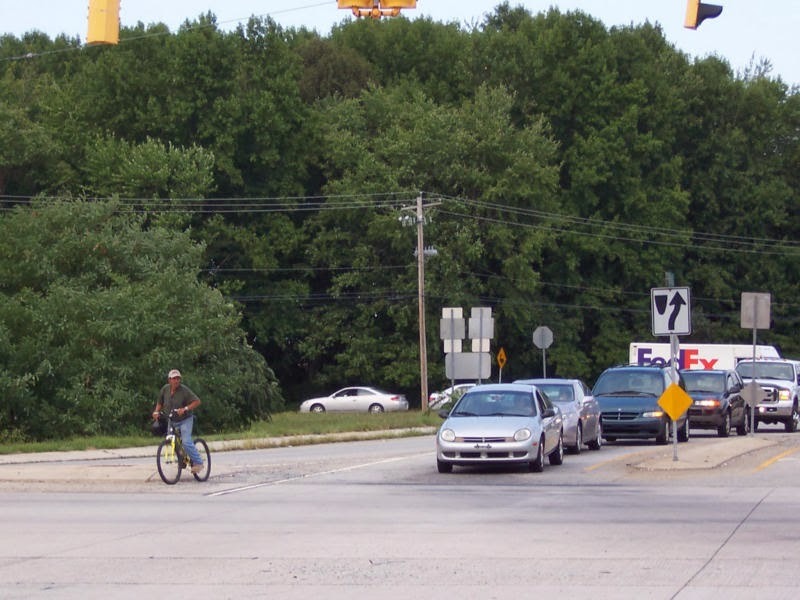 It's also important to note that it's not always a one-way street; Advocates have a history of helping DelDOT when it comes to efficiency and streamlining. 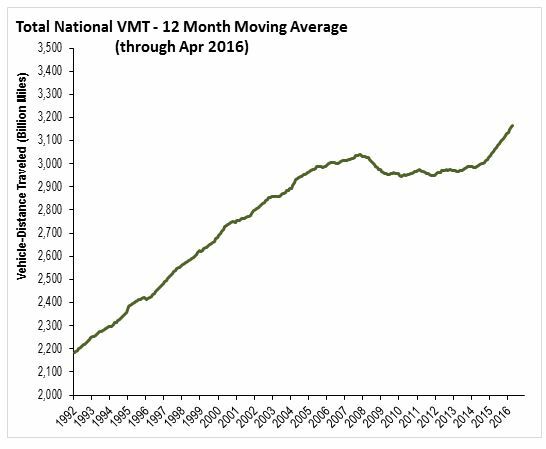 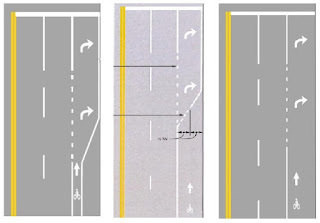 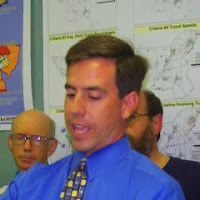 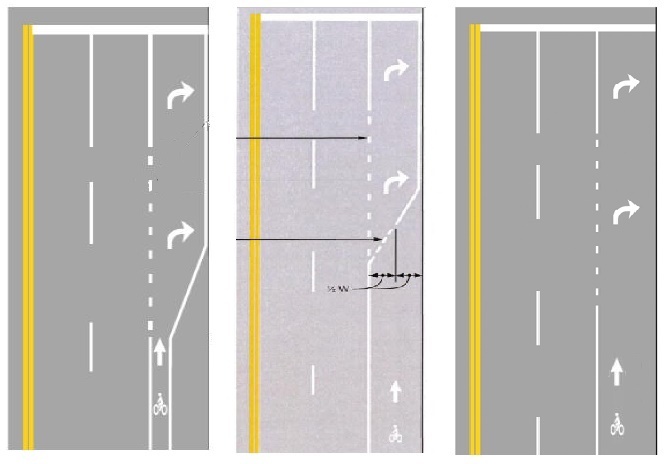 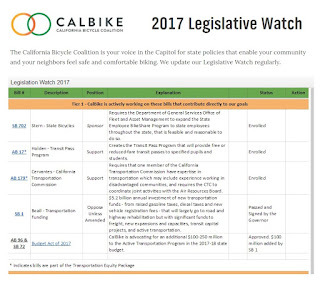 This includes improving W-11 warning signage, reducing "share the road" sign clutter in favor of a more targeted approach, and helping revise their sweeping program to focus on areas most prone to debris. 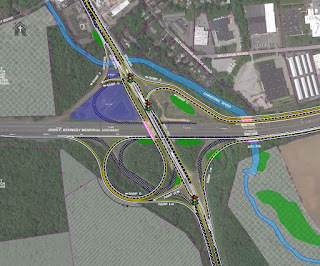 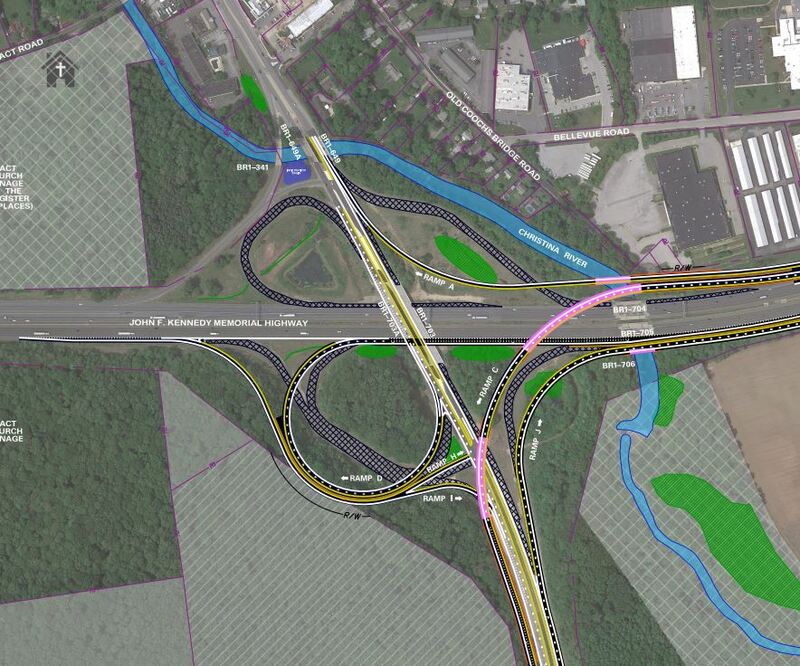 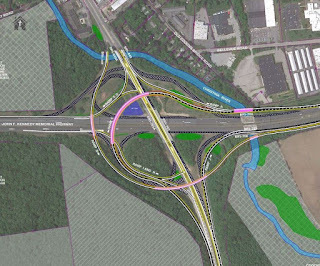 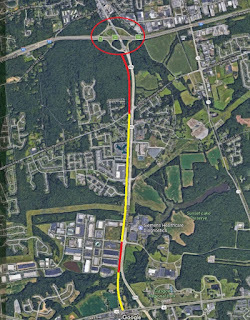 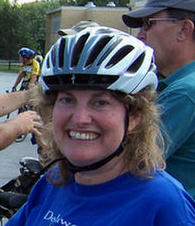 Thank you DelDOT for featuring this project and we look forward to many more in the future! 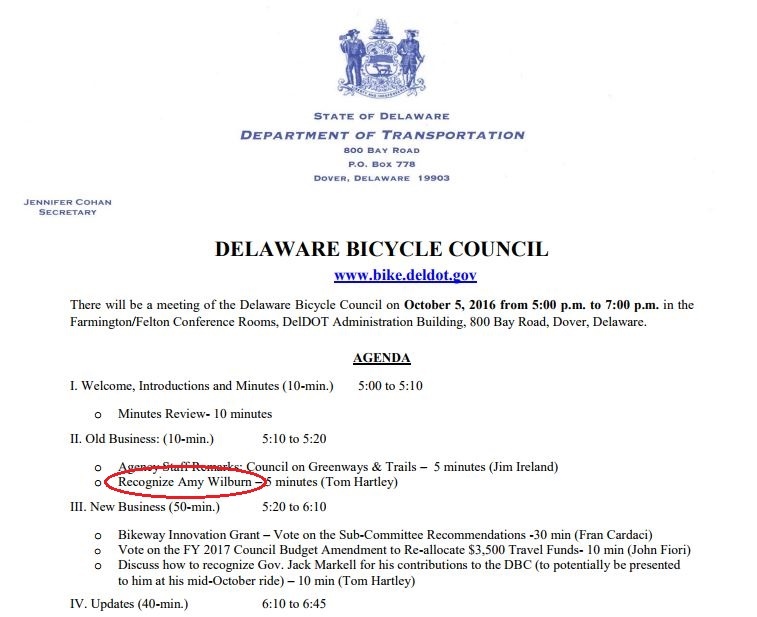 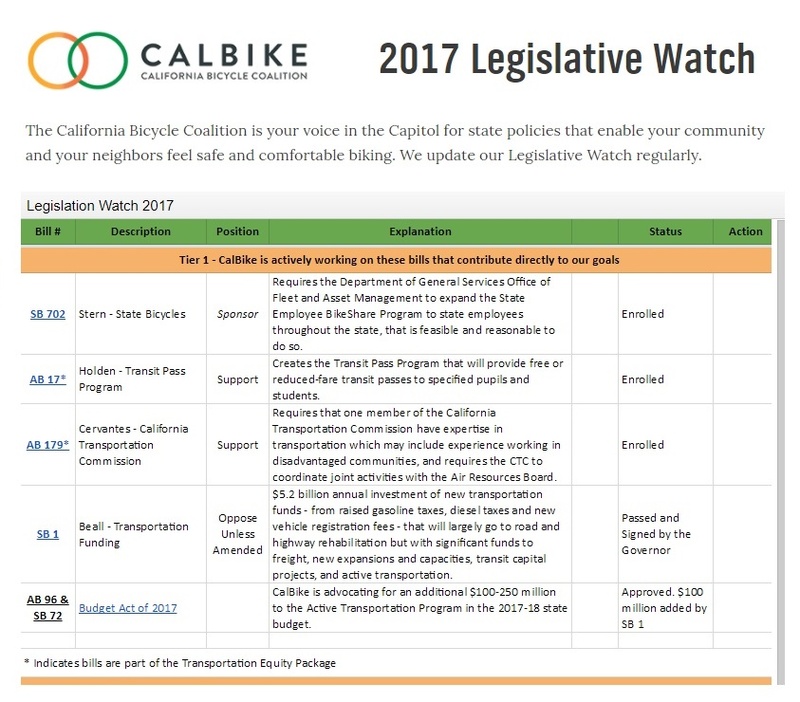 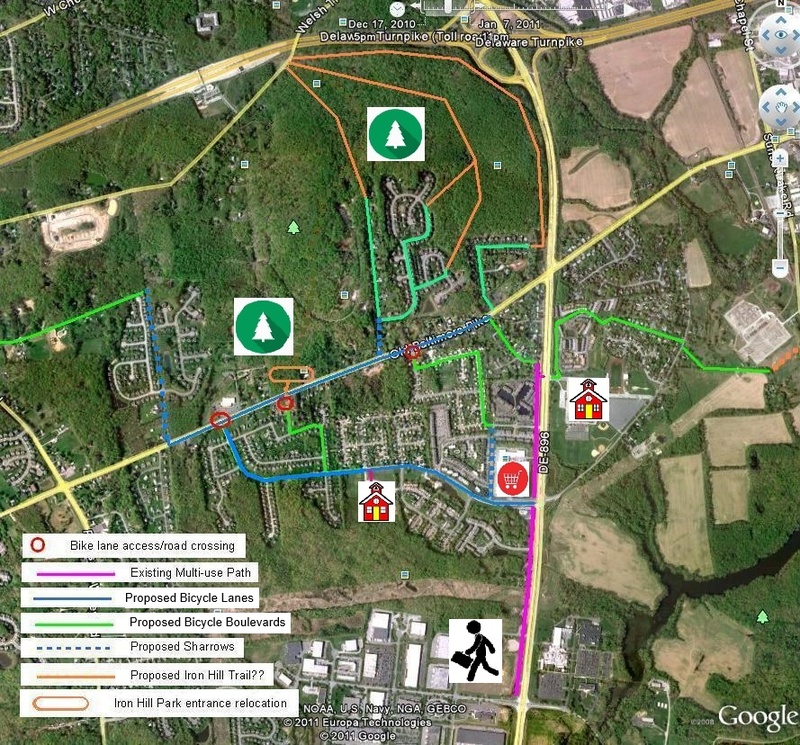 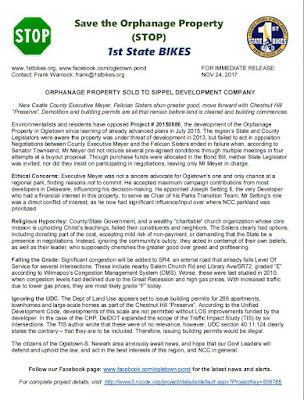 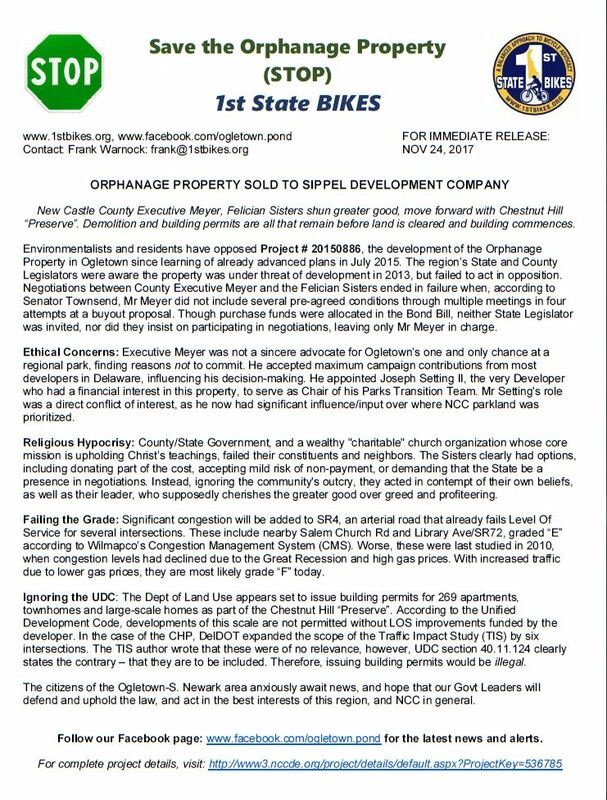 The idea that TOaDs can work in the suburbs as their own independent entity is laughable at best, yet this is the vision pursued by developer-friendly Bike Delaware. 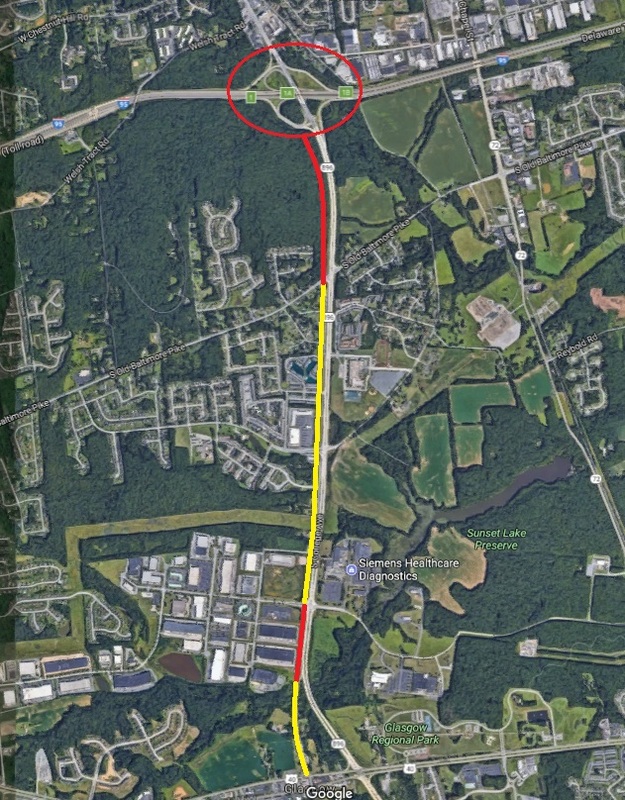 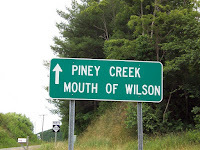 Virtually everyone who buys into these communities will still own a car, and will drive to their job, to Wal-Mart, to their doctor, and to everything else that can only be reached outside the development via arterial road. 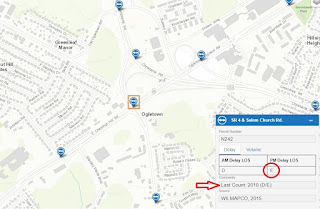 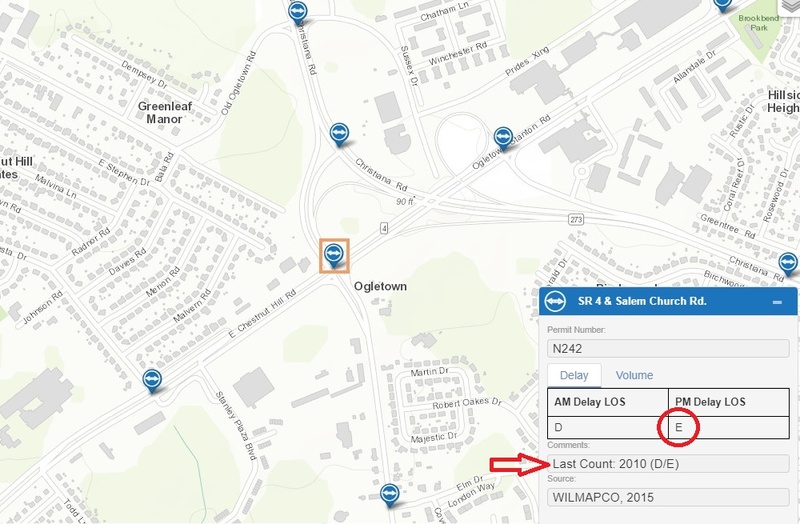 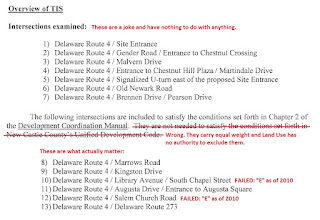 The Chestnut Hill "Preserve" isn't even billed as a TOaD, yet the DLU all to eagerly relaxed the TIS by eliminating failed signalized intersections in the scope.